I recently delivered some lectures to Deakin University undergraduate and graduate project management students on Agile. To get an idea of who was in the room, ahead of starting the planned presentation, I asked the students what they were studying. There was a smattering of business students, some computing students, a law student here or there and a bunch from diverse fields such as event and arts management. What would my message be to this assortment of students who would be working in fields so diverse from each other? That Agile is driven by prioritising delivery based on business value, but that business value looks very different depending on where you are! I like to use examples drawn from my real world business experience, and in this case, it’s kind of obvious that when you are prioritising user stories within a backlog at Telstra Digital, you’ll be looking for those that will lead to increasing sales of products online and reducing costs of servicing customers through online self-service. User stories that accord with this business value will bubble to the top of the product backlog and within any epic, you’ll decided just how many stories deliver enough business value, before tackling the next epic that again delivers this business value. I really liked the approach we took to assessing business value at Australia Post. Increasing revenue and reducing cost were on our menu of business value criteria, but we further categorised this into significant increase to revenue, or minor increase to revenue. We did likewise for cost reduction. This allowed us to prioritise a significant cost reduction initiative above a minor revenue increase initiative. We did take into account customer experience improvement initiatives, but these were always quantified in terms of how they would impact revenue increase or cost reduction. In a university environment business value can be harder to quantify. At Deakin our measures are closely tied to our LIVE the Future 2020 Agenda. Learning relates to offering a brilliant experience where you are and where you want to go. Ideas relates to making a difference through world class innovation and research. Value relates to strengthening our communities, enabling our partners and enhancing our enterprise. Experience relates to delighting our students, our staff, our alumni and our friends. So how do you truly evaluate if the products and features you are delivering add business value? I like to ask the “Why are we here?” question. DeakinSync is Deakin University’s flagship online portal that allows students to access what they are likely to need in one place through a single logon, be it timetable, access to their school or faculty, email, industry placement info, or other important information. Students can even access the learning space, Cloud Deakin, to view lectures, interact with other students and submit assignments. The customer experience of DeakinSync as a single personalised experience for students is incredibly high, but once again its business value relates to how it aligns with the LIVE the Future Agenda. The DeakinSync team know that the product’s rationale is to aggregate services and provide a fabulous experience for students, something we value very highly at Deakin University. 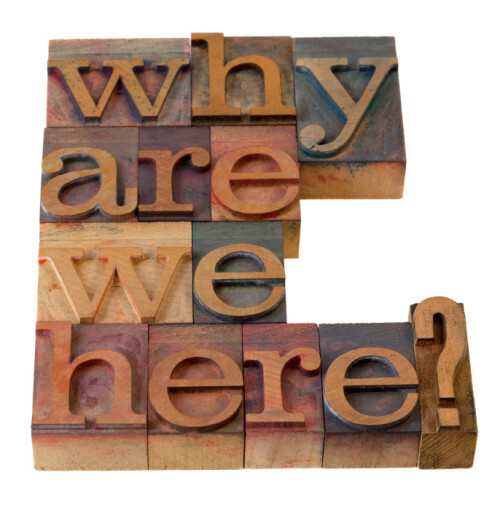 By asking the “Why are we here?” question, it reminds the team that features still in their product backlog can be prioritised based on how closely they will align with product’s ability to enhance customer experience, drive retention, reduce costs associated with providing great experience and support Deakin as a sustainable enterprise. The message about business value then, should be that you need both to align with your enterprise’s core business drivers, but also to look at what your team individually contributes to this bottom line. This entry was posted in Agile and tagged Agile, backlog grooming, businesss value, prioritisation on August 6, 2014 by Katrina Kolt.